If you need magazine customer service or have questions regarding your subscription, please contact using the details below. Allow 4-8 weeks for delivery of your FREE Gift. Get 1 year (52 issues) of Print + Digital. Print magazine delivered to your doorstep. Instant access to the digital magazine on IOS. Save 78&percnt; off the newsstand price. Get 1 year (52 issues) of Digital Access. Save 75&percnt; off the newsstand price. 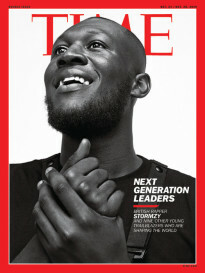 Time Magazine UK Limited (TMUK) publishes nine double issues. Each count as two of 52 issues in an annual subscription. Time Magazines UK Ltd (TMUK) may also publish occasional extra issues. Allow 2-3 weeks for delivery of your first issue.